Amy Key's second book-length collection Isn't Forever was published by Bloodaxe on 21 June 2018. It was a Poetry Book Society Wild Card Choice for Summer 2018. Amy will be reading at Verve Festival in Birmingham on 15 February 2019. Click here for details of her forthcoming events. Susannah Herbert was asked by The Observer to choose five recently-published poetry books with appeal to young women. She chose Amy Key's second collection Isn't Forever, and also mentioned Imtiaz Dharker as one of the poets included in the She is Fierce anthology, another of her choices. This was part of a two-page feature in The Observer on how young women are changing the rules of poetry. Bloodaxe poets Helen Dunmore and Rebecca Perry were highlighted in the body of the article. Amy Key’s second collection Isn't Forever and Leanne O’Sullivan’s fourth collection A Quarter of an Hour were picked by writer and broadcaster Sinéad Gleeson for The Irish Times Books of the Year feature of 1 December. 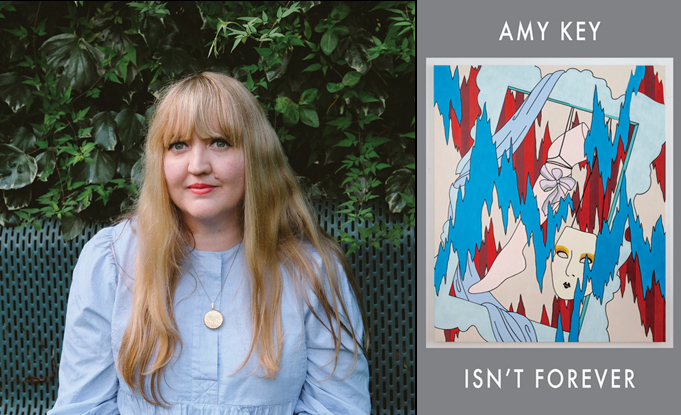 Amy Key’s second collection Isn't Forever was one of the 'wonderful collections published this year' chosen by Jeremy Noel-Tod for his Best Poetry Books of 2018 in The Sunday Times’ colour supplement Culture magazine. There were multiple choices for Bloodaxe titles in the Morning Star’s Poetry Books of the Year feature as chosen by poets, including Bloodaxe’s Jane Commane. Fran Locke chose Amy Key’s Isn't Forever and Abigail Parry’s Jinx. An online interview with Amy Key in South Bank Poetry, London’s urban poetry magazine. The feature was illustrated with colour photos of Amy Key and with the cover of her second collection Isn’t Forever.